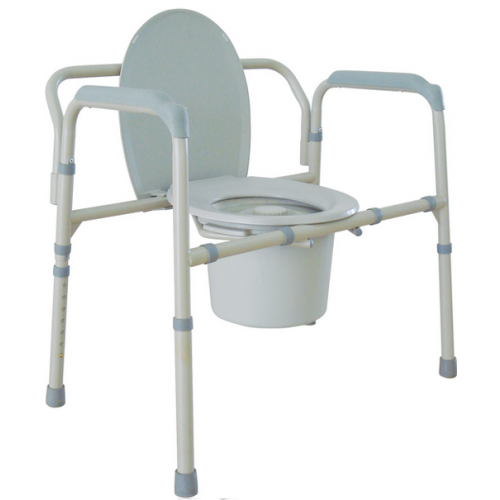 The Drive Medical Heavy Duty Bariatric Folding Bedside Commode Seat is a deluxe commode designed for bedside use, as a toilet safety frame, or as an elevated toilet seat over an existing standard toilet. 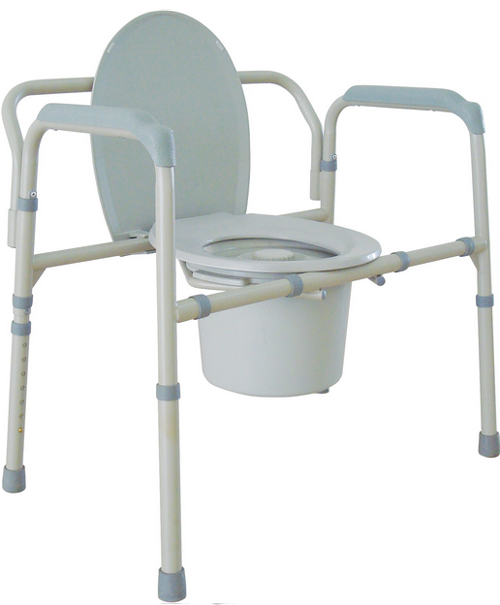 The back of the commode is removable, which makes it compatible for any application. 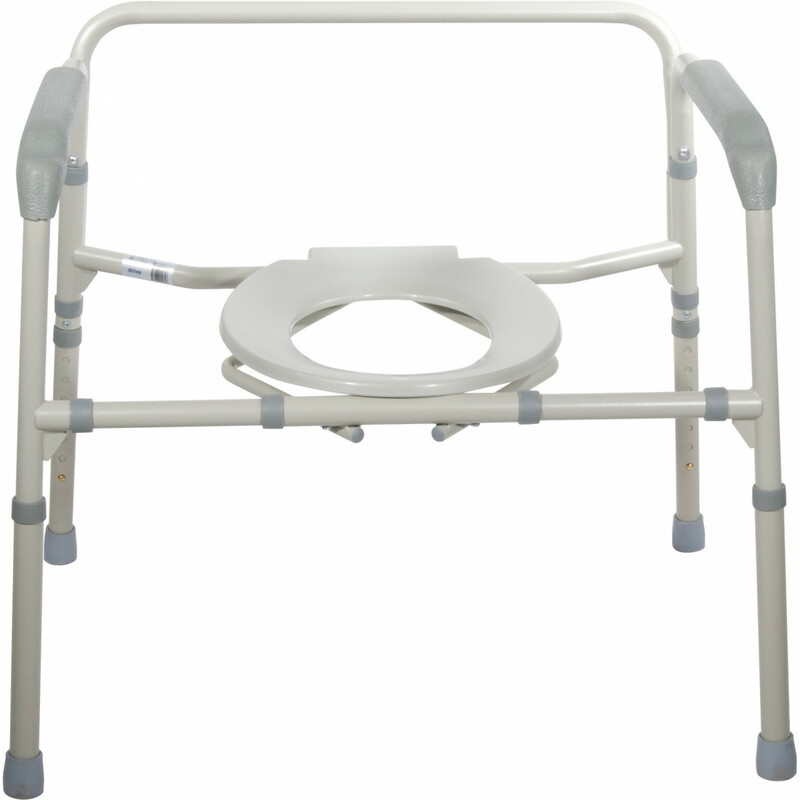 The Drive 11117N-1 Deep Seat Bariatric Commode features an armrest that provides additional stability and comfort when sitting and standing. 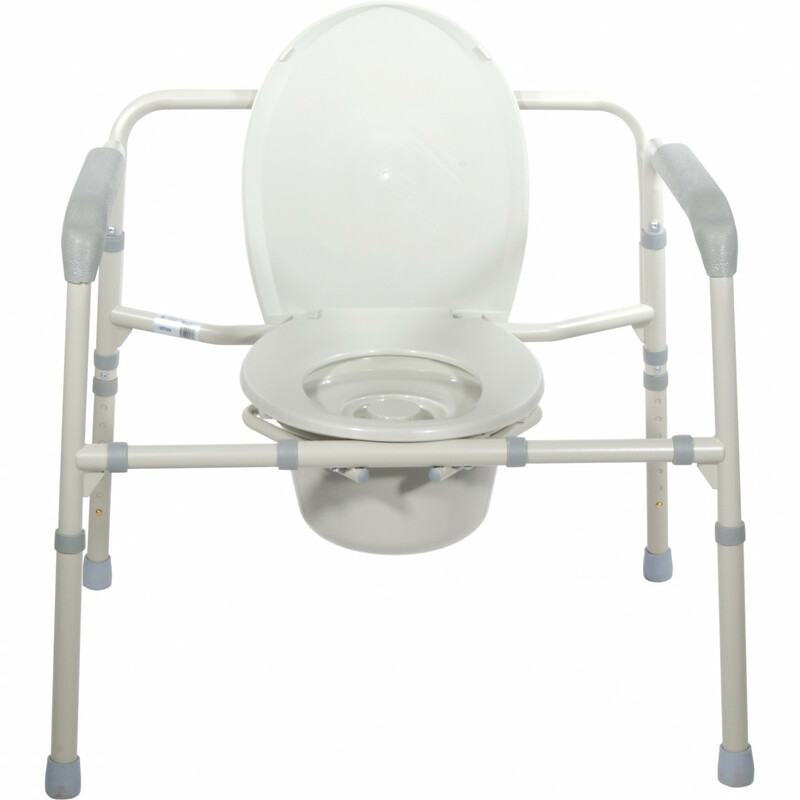 The Drive Medical 11117N-2 Heavy Duty Commode is designed with height adjustable legs to allow it to be used as an elevated toilet seat. This seat is constructed of durable steal that can hold up to 650 lbs of weight. It features a 16.5 inch snap-on seat with lid and a 12 quart commode bucket. It features a convenient cover, carry handle, and splash guard. This seat easily folds for storage and transportation. 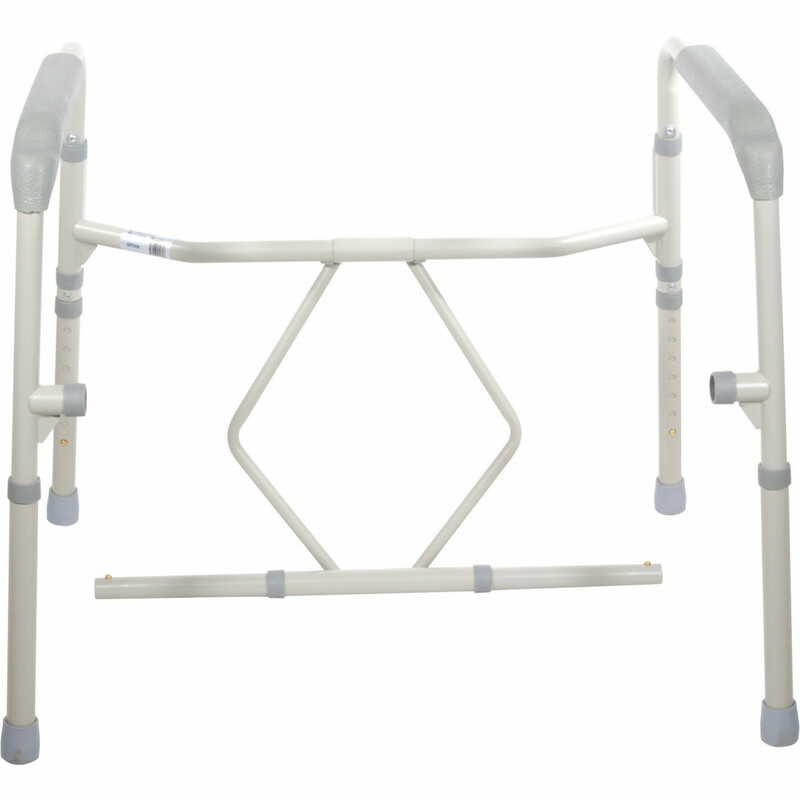 For additional comfort and cleanliness, you may also be interested in some of our commode accessories, such as the Uplift Commode Assist and the Drive Medical Commode Liners. How does commode fold? There are no pictures showing it in the folded position. The manufacturer may have downloadable instructions available. We recommend contacting them for further details.